This could be the Bible movie we've all been waiting for. It’s the first century and the game is afoot. It’s the story we all know—the death and resurrection of our Messiah—but for the first time in cinematic history the movie Risen, set to be released this February 19, may finally do justice to the most epic and influential tale in human history—with a bit of a detective movie twist. Risen picks up where Mel Gibson’s disappointing and arguably anti-Semitic The Passion of the Christ ended, but instead of a typical focus on the Messiah and his disciples, Yeshua merely skirts the edges of Risen’s story. This was quite an intentional move by the film’s director, Kevin Reynolds. The film instead follows Clavius, a non-believer and powerful officer in the Roman military. Clavius oversees the execution of Yeshua, but after the followers of the Messiah claim he was resurrected Clavius is charged with spearheading a massive investigation to recover the body of Yeshua with the intent to prove his radical, perhaps revolutionary followers wrong and prevent a potential Jewish revolt. Telling humanity’s most well known story from an unexpected point of view, however, is not all that makes this film unique. 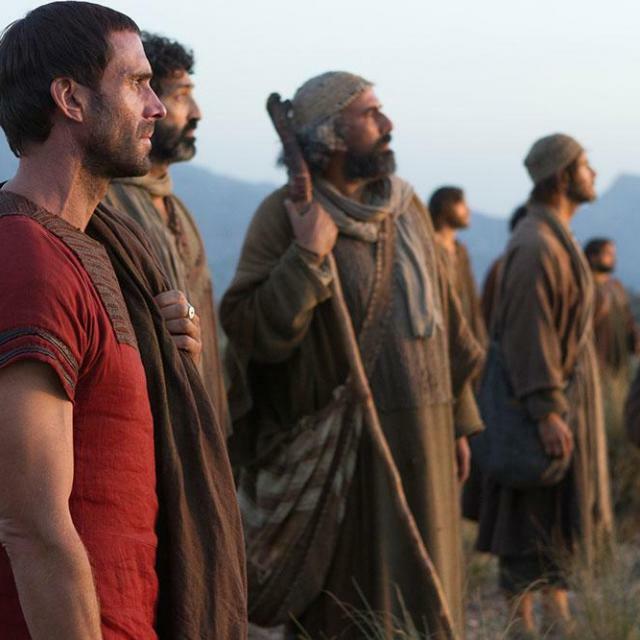 Starring veteran actors Joseph Fiennes as Clavius and Cliff Curtis as Yeshua, Risen prioritizes historical accuracy resulting in perhaps the most realistic representation of the era, Messiah, disciples, and first-century Jews that Hollywood has ever produced. Similar to Clavius’ lack of a religious agenda in the story, Risen does not appear to push any particular theology in its telling of the resurrection—a true phenomenon in the realm of biblically based films such as The Passion of Christ, King of Kings, The Greatest Story Ever Told, and the upcoming The Young Messiah. Director Kevin Reynolds instead prioritizes historical accuracy, even referring to Messiah by his Jewish name, Yeshua. This simple, authentic naming choice is a step in the right direction for the popular understanding of the real Yeshua. Even though Yeshua’s role is an elusive one in the film, especially for Clavius, his disciples and followers play a large part as the Romans search desperately for Yeshua’s body. Again, in contrast to many Jesus films, the disciples are surprisingly represented not as clean-shaven, modern Sunday school models of good Christians, but as real, observant Jews. The relatability of the disciples and other characters also serves to attract a wider audience, not only the religious crowd. Risen’s appeal to both believers and a secular audience is simply due to the story of the resurrection from this perspective being irresistible, no matter your belief, according to Fiennes. More than a noir reminiscent murder mystery, however, Risen captures the “big-picture” scale and the implications the resurrection had on the Roman Empire. Not only does Yeshua defy the rules of life and death, but also he mobilized thousands of Judeans, and though he did not call for war, the masses of radicals who had had enough of the Roman occupation were a significant threat - especially when they hailed a man as their deliverer from Roman oppression. Telling this story from the Roman perspective does justice to the immediate global impact the resurrection had on the empire. Additionally, the perspective through the eyes of Clavius, a skeptic and non-believer himself who prays to Roman gods, provides a relatable experience for those who are unfamiliar with the true resurrection story of Yeshua or those just wishing to hear the story without a modern theological lens. 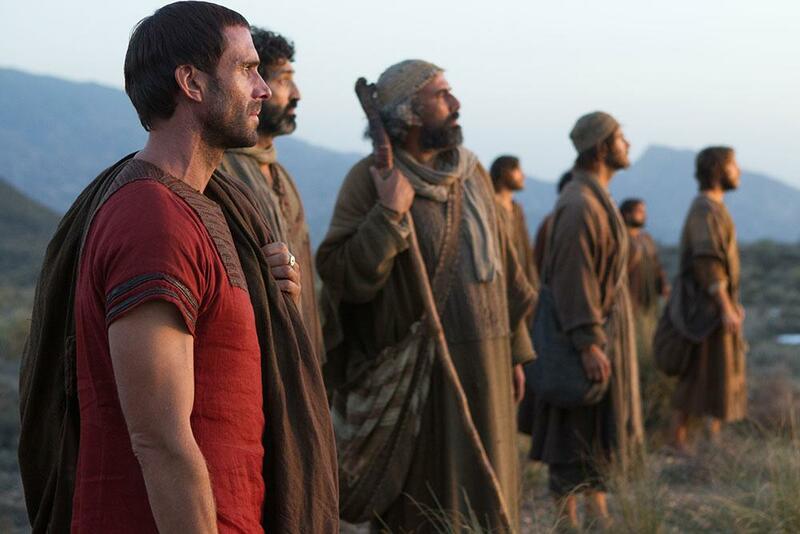 By all accounts, it seems that Risen could be the Yeshua movie we’ve been waiting for. Historical accuracy is a strength of our religion and the motivation behind this film - a movie that finally recognizes the truly epic proportions of the resurrection narrative. There may be huge implications for the Messianic community as a popular understanding and respect for the Jewish roots of Christianity, as seen in this film, might open the door to an acceptance of Messianic Judaism within the broader religious community. Risen is rated PG-13 for biblical violence and some disturbing images and is set to release on February 19.